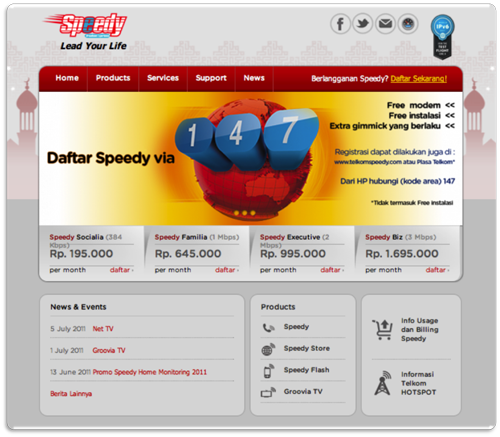 This evening, at last we launched the new design of TELKOMSPEEDY.COM. This is the site for Telkom’s broadband internet product. 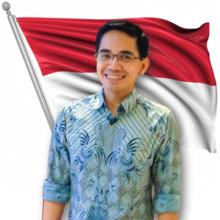 When our new (reconfigured) Multimedia division was (re-)formed, the then EGM ad interim, Mr Widi Nugroho appointed me personally to be the PIC of the main site of Speedy products, until a definitive unit could handle that tasks. Just after a few days, I found out that the site was very complicated with unnecessary features and contents. Surely I tried to fix it. But at last I gave up, and decided to redesign the site to make it simpler, easier to operate, and more elegant. The redesigning itself was not easy. Our division is not the only stakeholder of the site. We needed to talk to at least two directorates, within which there are more units with interests to the site. I could not start the redesign before making a consensus among all stakeholders. Again, this was not easy. The consensus itself was at last accepted just last May. The redesign would take months, but I planned it into stages. The visual redesign seen today is just the first phase. I will not expose the details here. But after the first stage, at least the site could be operated simpler, easier, with significantly less error than the previous maldesigned site. Any comment for the new design?